Ron graduated from James Madison High School in 1964 and after several years at East Carolina University came back to work in the family business. During high school he worked every summer learning the business from his father. He also worked for several years at Hawkins Glass Company in Maryland. He has always enjoyed building decks and houses. Ron also enjoys hunting and fishing in North Carolina and gardening. Ron has two children and three grandchildren. Scott Williams graduated from The Evergreen State College in Olympia Washington with a Bachelor of Arts degree. He moved to Virginia in 1975 and while working for Marriott Corporation met his future wife, Kathi Glaze. Scott loves design and building and has been instrumental in moving Vienna Glass into larger commercial office building construction. Scott enjoys kayaking and spending time on the Chesapeake Bay. He and his wife restored an historic home on the Eastern Shore of Virginia. He has two children and two grandchildren. Nathan grew up in Northern Virginia. While in high school he worked part time at Vienna Glass. After receiving his BA in Public Relations and Advertising from Lee University in Cleveland Tennessee, Nathan spent a year working in web development. Once his wife completed her Masters program they moved to Loudoun County so that Nathan could come back to work in the family business. Nathan has two daughters and his wife is a school counselor in Loudoun. Ken Williams grew up in South Eastern Massachusetts in the Plymouth area. A 1978 graduate of Silver Lake Regional High Ken went on to join his family business the Halifax Glass Co. established in 1977 and certified with the National Glass association (NGA) at the masters level. in 2000, Ken relocated to the Appalachia Mountains of Virginia where he started a small and odd jobs business. 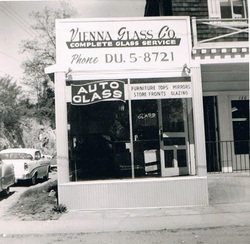 Finally settling down In Fairfax County with the Vienna Glass Company in 2005 Ken has worked with the family business managing the residential service department helping to insure yet another “60 years of serving the Greater Metropolitan Area". 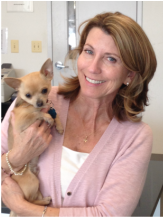 Dianne has more than 30 years of office experience in the Glass and Glazing industry. Before coming to Vienna Glass she spent 23 years at Associated Glass in Fairfax where she worked side by side with her father. Marie grew up in Colliers, WV. She received her Bachelors of Science from Shenandoah University in 2000. 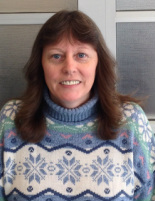 Before joining the Vienna Glass family she worked on the wholesale side of the industry for Freestate Glass which later became Oldcastle D.C. Marie has over 14 years experience in accounting and client relations. If this is a request for work in your home, knowing where you live lets us optimize our scheduling.